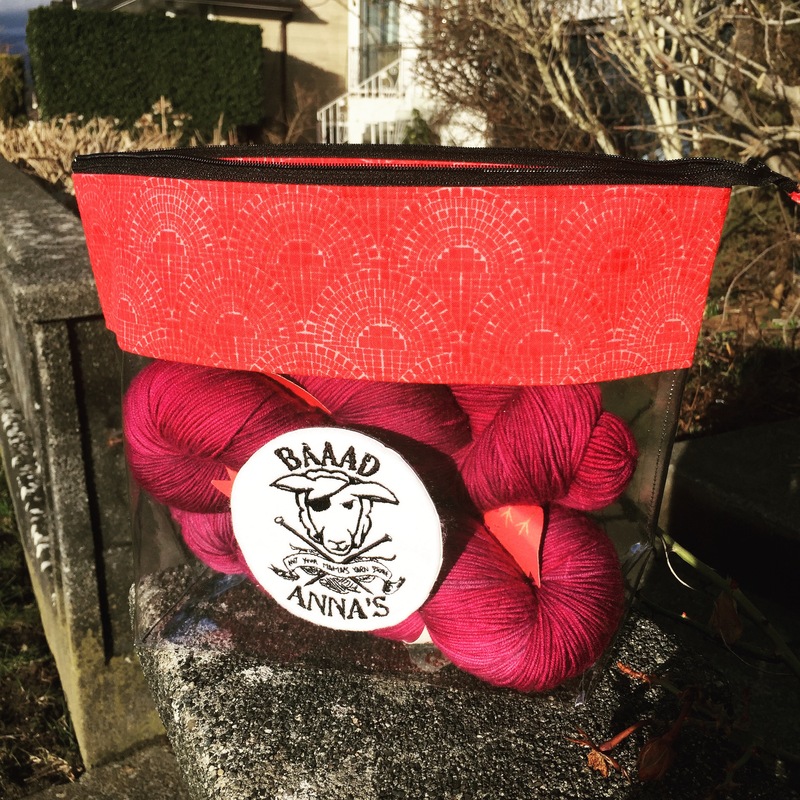 After a successful Winter Sale, we’re thrilled to be able to fill the shelves with new and wonderful items for all your yarn therapy needs. We’ve had a number of fun custom items made just for us: from knit jewelry such a stitch markers and shawl pins to amazing project bags, here’s a few of our favorites. 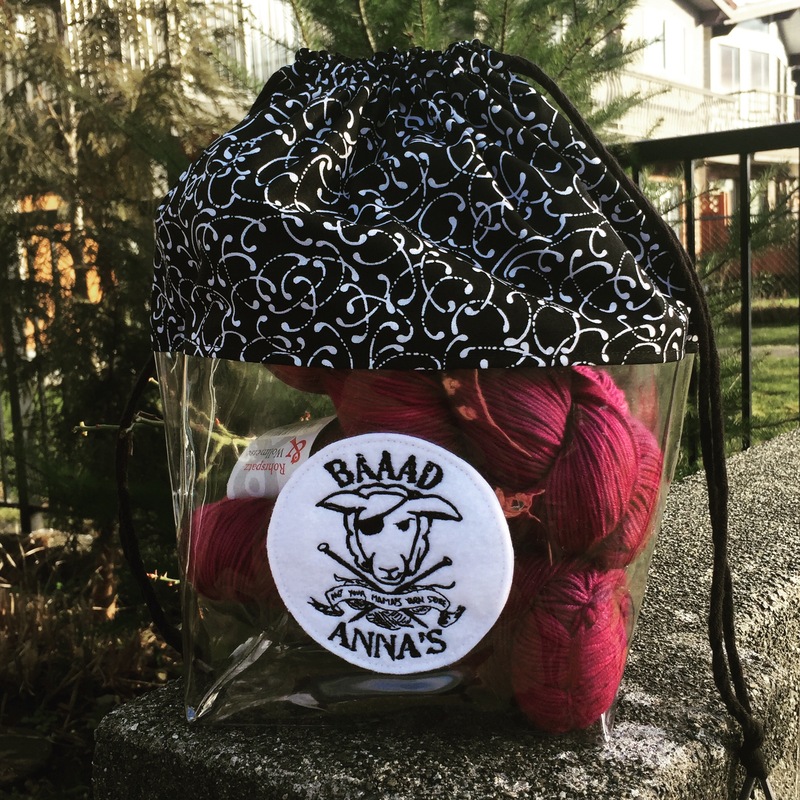 A zippered wedge bag that can easily hold over 600g of yarn. These see-through drawstring bucket bags can also hold a sweater quantity of yarn, and also includes a small zippers pocket inside for holding notions. 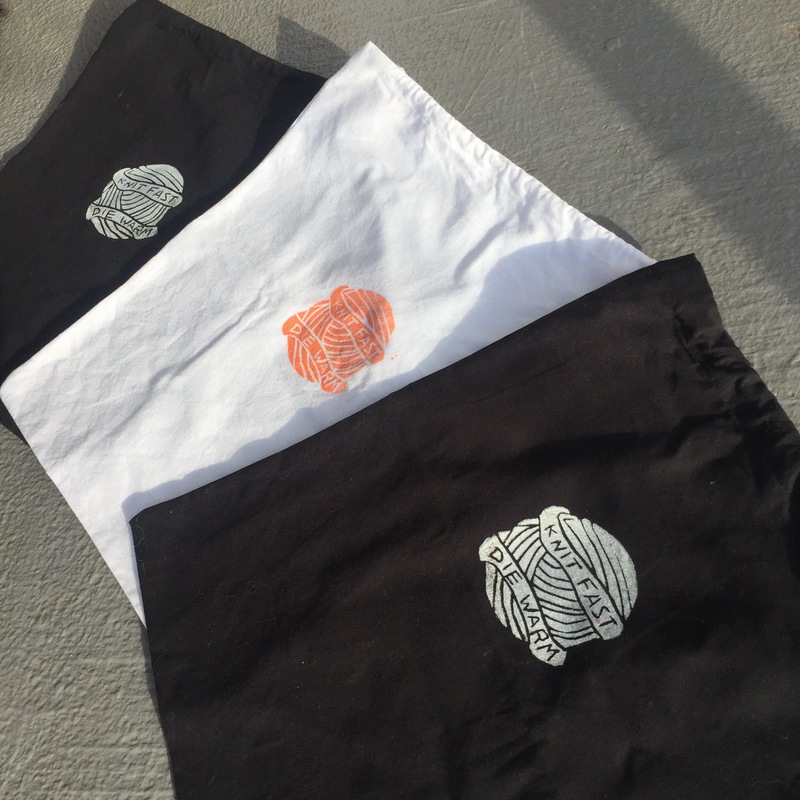 A variety of sizes and patterns in these project bags available. 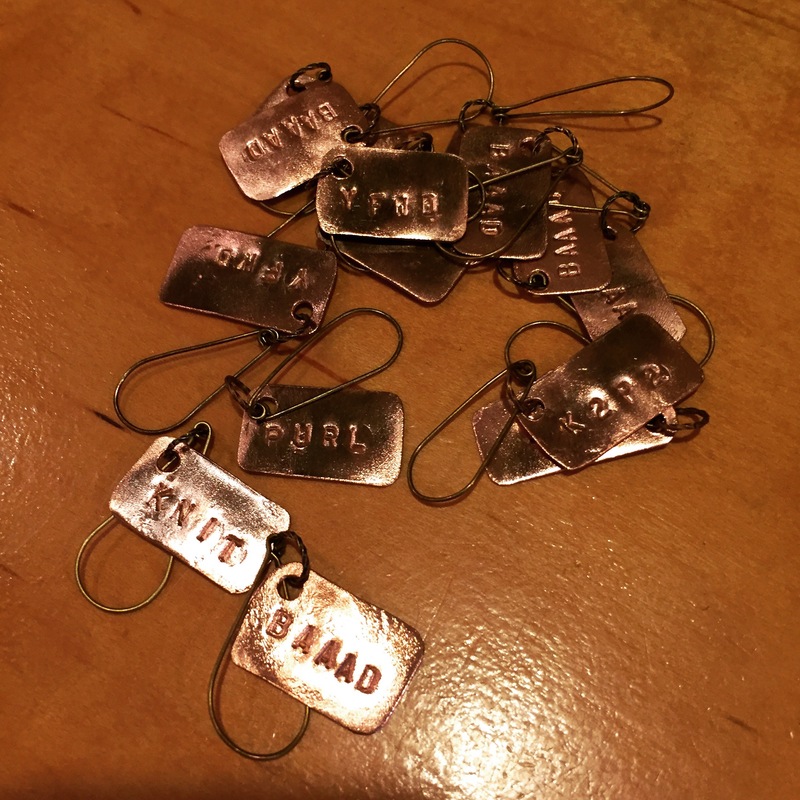 Custom copper stitchmarkers… KNIT FAST DIE WARM! 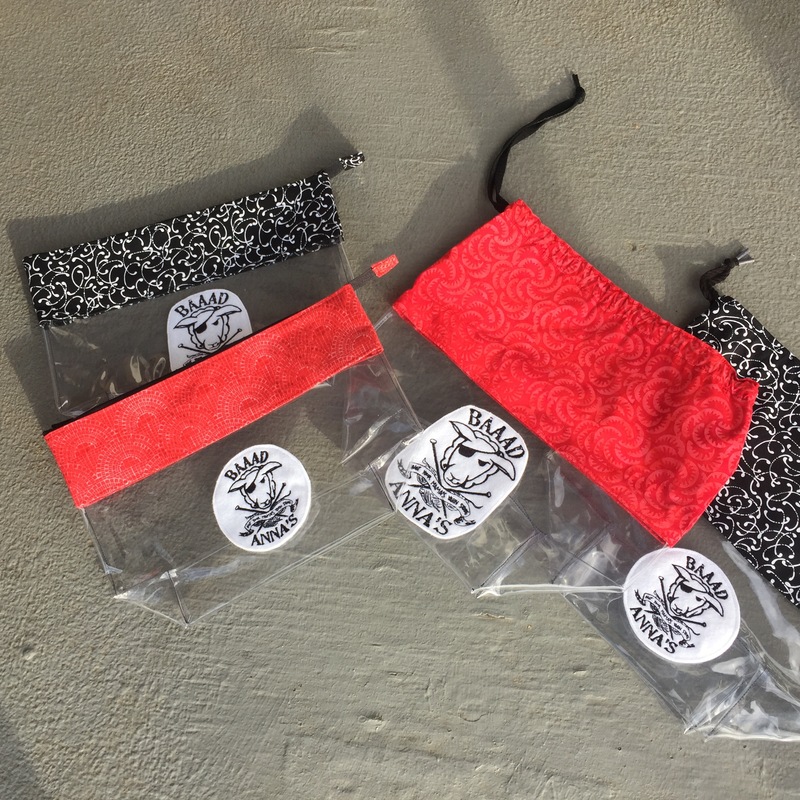 These drawstring project bags are made by our dear Baaad Anna herself! 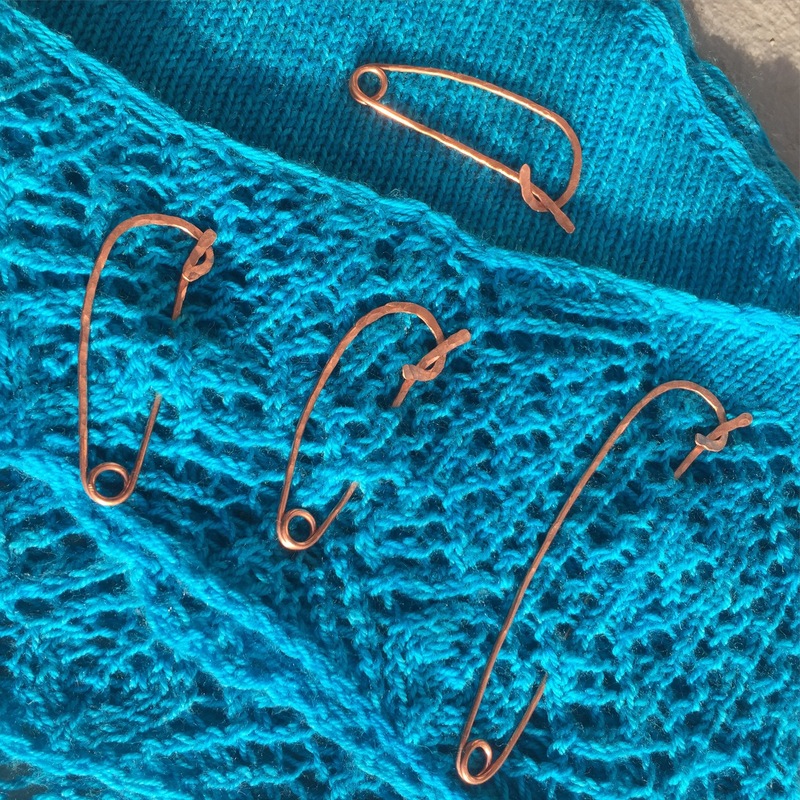 These copper shawl pins double as stitchmarker holders.